Last Update: April 20, 2019, 10:14 a.m. 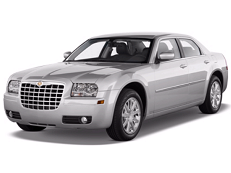 Correct Wheel Sizes, PCD, Offset, Rims and Tire specs for Chrysler 300 series. 22x10 rims fit a 2007 Chrysler 300? will 245/45/20 tires/rims fit a 2007 Chrysler 300? I have a 2005 Chrysler 300 Limited RWD. I has a 17 inch rim on it and I want to change to a 20 inch. What is a good size tire to put on the rim that will still give me rubber on the road. Don't like tires that look like it is only one quarter of a inch of rubber on the road. 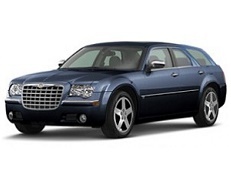 Will the wheels off a 2006 Chrysler 300c fit on a 2005 dodge magnum? Can you help me. 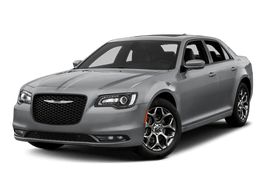 Will rims off of a 2015 chrysler 300 fit on a 2007 chrysler 300? Hi. Srt 20 inch can fit to 300c 2008 model thanks. Hi,ricardo,Yes,20'' srt wheels can fit for. Hi,Ben,No,They can't fit for.The stock wheel offset for your car is 24mm,35mm is too big and for the tire,They are also uncompatible. Hi,Andy,The standard wheels size for your car is 18'',So,Normally,the biggest wheel size you can use is 20'',You can use the 24/22 inch rims but that not good for your car.Big size rims need low tire aspect tires which means the protection from the tires to rims will lower.That's why your rims always crackes. I have a 2013. 300 base 3.6l. I ordered hellcat 20x9 wheels and lexani 255/45/20 tires will these fit with out rubbing ? Will a ten inch wide tire fit a 2015 Chrysler 300? Can I put 225-55R-17 from a 03 chrysler 300m on my 2008 chrysler 300C 5.7l hemi? Hi,Tony,Does your 300c also have 17'' wheels?The factory rims for 300c is 18''. Hi,Tyler,No,These two tires are not compatible. Hi,Tyler,If you still not buy the tires.You can check again for your current tire size and you can also use tire calculator to test whether they are compatible. I had a 2007 Chrysler 300 with 22 inch wheels. Now I have a 2014 300S. Will the 22" wheels fit on the 2014? Will 5x120 bolt pattern fit on a 2009 300c awd? will the rims of a 300 and a 200 interchange? Hi,Alex,For stock rims size,the bolt pattern of 300 is 5*115 offset is 24.But 200 bolt pattern is 5*114 offset is 35.They are not compatible. Hi,Dave Drolet,Can you explain your question? I just had a set of winter tires 235/65R18 given to me. Will they fit on my 2006 Chrysler 300 Touring AWD? I currently have 225/60R18 on but they are pretty worn. Hi,Chris CLow,No,235/65/18 is not compatible for your car. OK. I had them put on before you responded. They only hit if you are breaking hard and turning. Normal driving they clear with no problems and don't rub. The AWD rims sit out further then the RWD so they clear the control arm bolts with no issues. Hi,Mo,What the bolt pattern and offset of you 19'' rims? Hi,James.you can use 22'' rims and for the tire size you can try 225/35/22.For the bolt pattern ,it is 5*115.If you can't find this bolt pattern size,you can try 5*114.3. I have a 2014 Chrysler 300. I believe its considered a base model. I have the stock 17in wheels for it. The recommended tire size is 215/65R17. But I want to go with a wider tire. Online sights are saying it cant be done but I know it can be. Does anyone know what I can do with my current wheels? Hi,Dennis,What is the wheel offset and bolt pattern? Hi,Dennis Pinto,Yes.you can use it 20*9. Hi,Dennis Pinto,Yes.255/45/20 is also competible. Hi,Jerry,what your current tire size? Hi,Erica,What the wheel bolt pattern? Hi..I have a 2009 Chrysler 300 Lx with 215/?65r17 size tires on it, and I just bought a set of 20in rims. What size tires do I need to get, or can I use my original tires? Hi,Monte Brown,Can you show your current tire size?I can help you confirm it. i have a 2006 chrysler 300c can i put a 265/35-20 on my chry 300 or a 275/40-20. I have a 2005 300 touring model, I got some scatpack rims from a charger for my car & the 245 tires rub in the front, rears fit great what would you suggest? 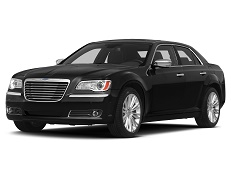 Can I put 255/45/r20 on my 2011 Chrysler 300 limited. Hi,James,245/45/20 is compatible with 255/45/20. Hi, will 20" American Racing AR920 20x9 5x115 +20mm with 72.6mm centre bare fit Chrysler 300c ? Whats the biggest size rim that I can put on my 2011 chrysler 300c rwd before having to make any modifications? Hi,Doug,Can you explain your question?The wheel size or tire size?What the current tire/rim size of your car?